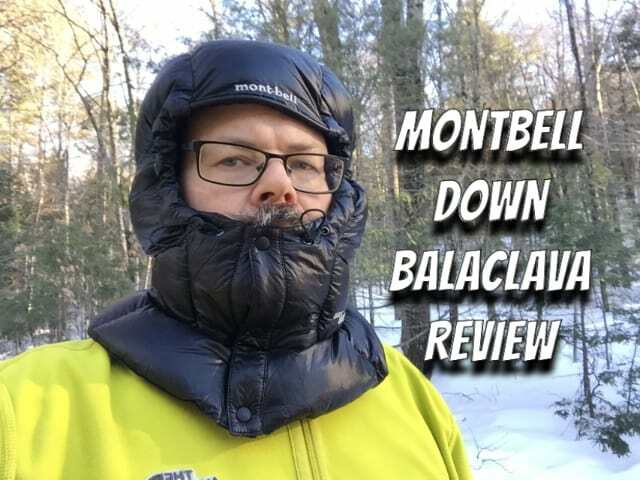 The Montbell Down Balaclava is insulated with 800 fill power down and can be used to augment an insulated jacket or as a part of a backpacking quilt sleep system. Weighing 3.1 oz (87 grams) it is a highly adjustable piece of headgear with two rear volume adjusters, two elastic cords to control the size of the face opening, and three snaps that close over the face and neck. Unlike a fleece balaclava, it extends well below the neck to cover your upper chest and neck, providing seamless integration with hoodless jackets and quilt draft collars. There are two basic ways to use the Montbell Down Balaclava. 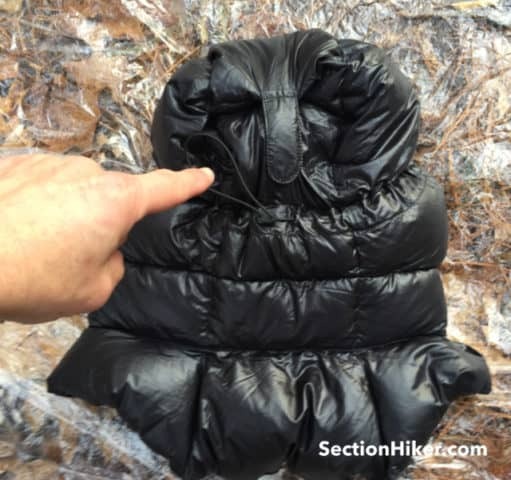 The first is to augment a hoodless jacket and the second is to augment your sleep insulation system, such as a sleeping bag or backpacking quilt. Both of those scenarios are facilitated by the balaclava’s neck which covers the entire neck as well as the top of your shoulders and chest. This ensures a tight seal between the neck of a jacket or the draft collar of an ultralight backpacking quilt. It can also act like a draft collar if you have a quilt that doesn’t have one to prevent heat loss around your neck. The extended neck prevents any leaks when used with a hoodless jacket. I prefer wearing a hoodless insulated jacket in three season weather because it layers better with a lightweight rain jacket than a hooded insulated jacket. There are times though when I do wish I had more head warmth and a garment like the Montbell Down Balaclava could serve that function. I also like the extra down in the neck area and upper shoulder areas because it’s even better insulated than some of the hooded down jackets I use. There’s a lot of blood flowing near the skin of your neck and keeping it well insulated is one of the keys of staying warm. I often carry an insulated Polar Buff for just this purpose. The Montbell Down Balaclava is also well suited for use as sleeping insulation with a down quilt because it is so adjustable, with several ways to adjust the interior volume and coverage it provide. I have a small head, so this is an issue that I’m acutely aware of. But do you really need a down hood when sleeping with a quilt? Companies like Enlightened Equipment and Therm-a-Rest base the temperature ratings they assign their quilts on that assumption (see Backpacking Quilt Temperature Ratings). They also assume that you’ll be wearing long underwear and sleeping on a pad that has an R-value of at least 4. So if you’ve been cold in a quilt, that may explain why. There are two volume adjusters on the back of the balaclava. There are two ways to adjust the interior volume of the balaclava, both on its rear. The first is a velcro tab that controls the position of the panel over your forehead with the Montbell logo stenciled on it. You can raise or lower it depending on how much visibility or forehead insulation you want. There’s also an elastic cord that you can lock in place with a cord lock. It controls the size of the hood’s crown, just above the ears, so you can prevent drafts from blowing into the hood’s sides. There are also two elastic cords on either side of the face opening. These let you control the size of the opening and how much cheek coverage you want. The Montbell Down Balaclava is a highly adjustable down hood that can be used with a hoodless jacket or a backpacking quilt. It’s amazingly warm and compatible with all head sizes and hairdos. While it can be used to augment a hoodless jacket, it does feel a little awkward to wear if you’re active and hiking hard. I prefer wearing a down hat or fleece balaclava in those circumstance. But my favorite way to use the Montbell Down Balaclava is with a backpacking quilt because it boosts my warmth and won’t come off at night if I trash around. I especially like the way that the long, wraparound neck and upper chest insulation complement the quilts and hoodless sleeping bags I own. 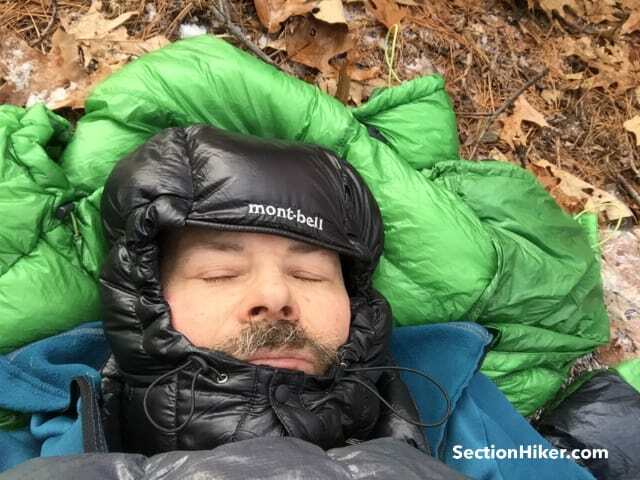 If you’re pulling together an ultralight, quilt-based sleep system, I can strongly recommend using the Montbell Down Balaclava for that purpose. It’s also reasonably priced, well constructed, and readily available. 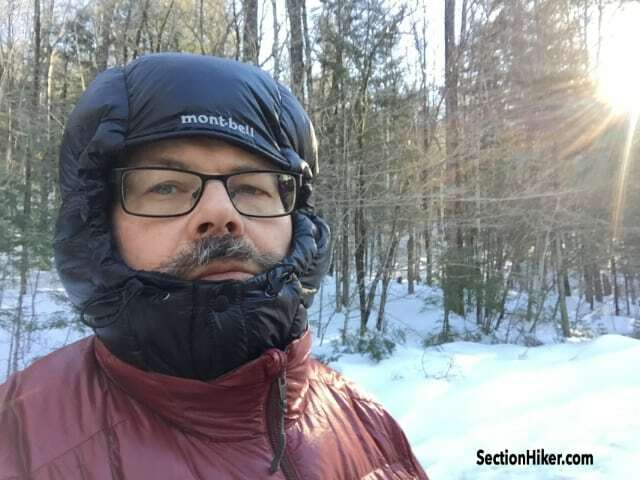 The post Montbell Down Balaclava Review appeared first on Section Hikers Backpacking Blog.